Did you know that WordPress actually includes a built-in video player? Personally, I know that it exists…but I’ve never seen a single site use it. That’s because if you want to use WordPress and video together, you’re much better off turning to a third-party video streaming service that lets you embed videos in WordPress. In this post, I’ll spend a little time convincing you why you should skip the default WordPress video player. Then, I’ll get into some of the tools and best practices to help you properly embed third-party videos in WordPress. Videos guzzle bandwidth. YouTube can handle that – your server might not be able to. Or, even if you’re using quality managed WordPress hosting, your server’s resources are still better spent in other areas. Multiple formats. Want your videos to play across all browsers? I hope you’re ready to convert them into multiple file types. Not to mention different quality levels! Accounting for all of your visitors’ browsers and connection speeds is a massive headache. Slow video speeds. Even if you turn to an external self-hosted solution like Amazon S3, some people will still complain about slow load speeds. For those reasons, and many smaller ones, you’re better off going third-party when it comes to WordPress and video. So I told you what not to do…but that’s not much help all by itself, is it? So let’s get into what you should actually do when it comes to WordPress and video. Vimeo PRO – offers advanced statistics, priority uploads, and unlimited bandwidth. Wistia – gives you business-focused analytics as well as white-label branding and superior privacy controls. If you just want a quick and easy solution, YouTube is fine. If you want detailed analytics or white-labeling, consider paying for Vimeo PRO or Wistia. Basically, schema markup helps search engine robots understand your content better. It applies to all areas of your site. But when it comes to videos, you can use video schema to help Google understand what your embedded video is about. And that means more organic search traffic for your site! So how can you add video schema markup to WordPress? The easiest way is to use a plugin like Video SEO for WordPress from Yoast SEO (premium). Or, you can always do it manually following Google’s video schema markup guidelines. And that’s fine if all you want to do is let people play a single video. But what if you want to add custom ads or create easily playable playlists? For that, your best option is a plugin. For a good free option, I like the WordPress Video Gallery plugin from Huge-IT. 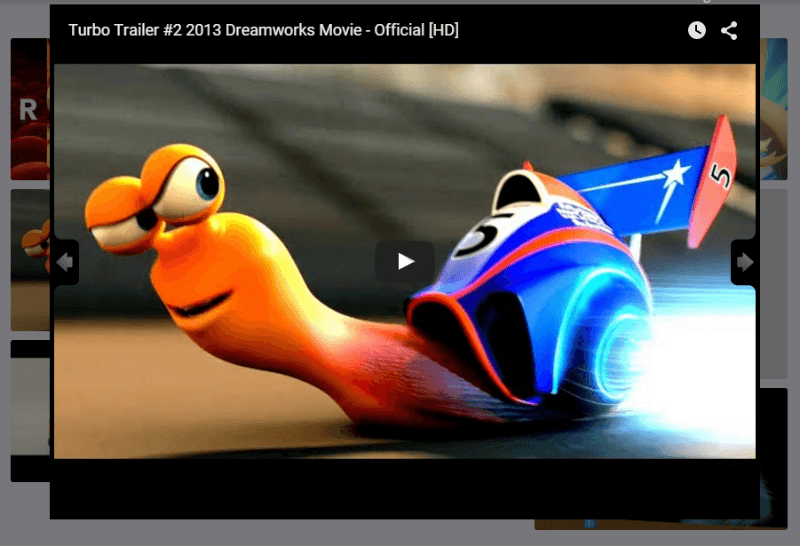 It lets you embed YouTube and Vimeo videos in a variety of nifty formats. If you’re willing to shell out some cold hard cash, another great option is Elite Video Player. It costs $29. But for that money, you get gorgeous playlist support as well as the ability to add your own pre-roll ads to earn some money. WordPress and video work best together with a third-party sandwiched firmly between the two. Whether you go with YouTube, Vimeo, Wistia, or somewhere else…you’re going to save yourself a ton of trouble by going with an external solution. 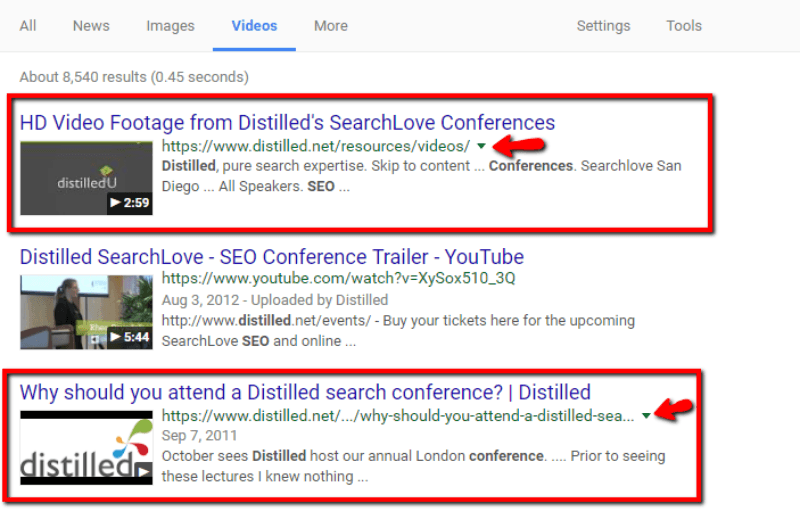 But even if you’re using a third-party solution, you still need to add your own video schema markup. And if you want to get creative with your video embeds, there are plenty of WordPress video plugins that can help you out. 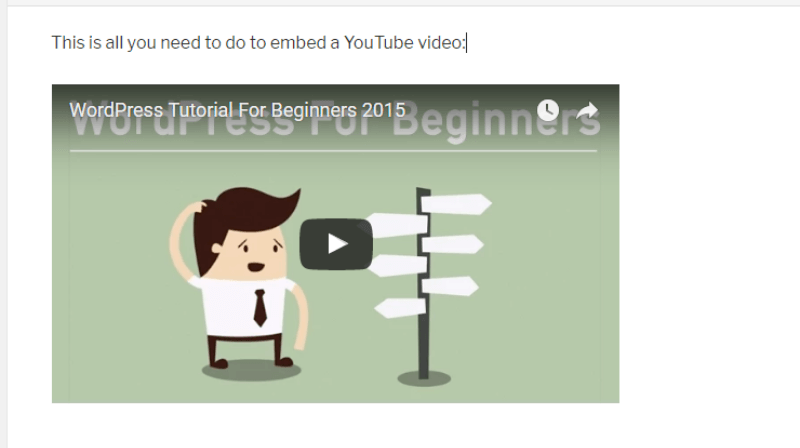 We’ve even detailed a few additional ways to creatively embed YouTube videos in WordPress. And on the topic of videos! If you’re a Pagely managed hosting customer, you have access to a whole slew of WordPress tutorial videos that help you out with basic topics like these.